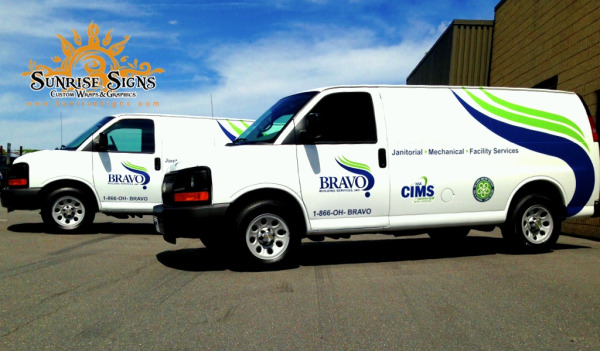 When fleet vehicles are essential to your business, an affordable way to build your brand and advertise while on the road is via the use of vinyl spot vehicle graphics. When Bravo! Building Services came to use with a Chevy Express van and a Ford Econoline van, after an initial consultation, the decision to add vinyl graphics to these two vehicles was something the client and Sunrise Signs was excited about! 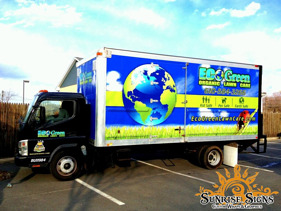 If you’re looking for an eco-friendly lawn care service company, EcoGreen Organic Lawn Care should be your first choice! Located in Eagleville PA in Montgomery County, this lawn care contractor began as a vision to ensure lawns could be completely safe for kids and pets as well as looking top notch in appearance.